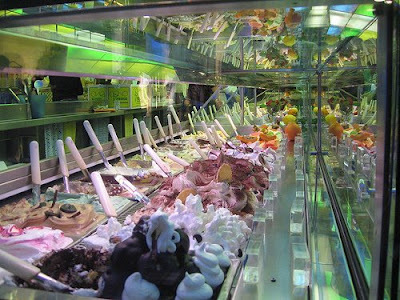 Well as you can see, there are many flavors of ice cream. Sometimes you can find little flavors or tastes of one kind of ice cream in a different kind. The same is true in music. That's what we're going to focus on in our next series, that we'll feature over the next several weeks. It's not just acoustic music, and at the same time it's not just alternative rock. We're blending them together, or rather showing how the artists themselves have blended their music with other forms, and illustrating how alternative and indie rock are constantly evolving. So join us for a look at the infusion of different forms of music, on the Appetizer.